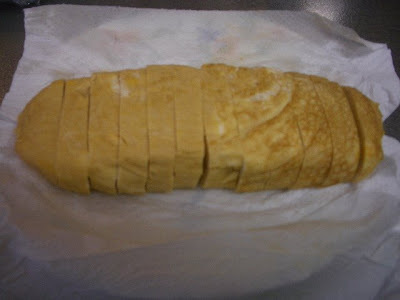 I made atsuyaki tamago (thick rolled omelet) for breakfast this morning. I used four large eggs, plus instant dashi and koikuchi (dark) soy sauce, like I always do. 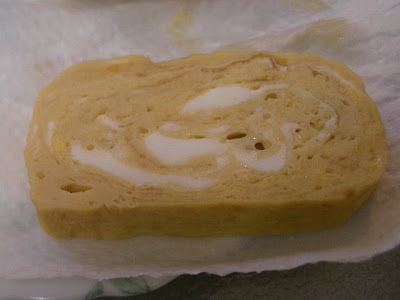 I don’t like to put sugar in my atsuyaki tamago. When I finish making in a pan, I usually transfer it on a plate with a paper towel on it. 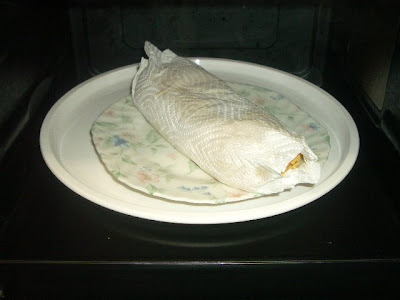 I then wrap it in the paper towel and heat it in the microwave for 20 to 30 seconds to make sure that the eggs set completely. 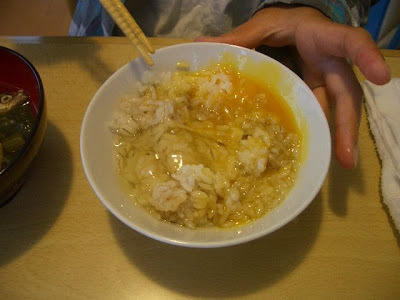 My daughter said she wanted to have tamako kake gohan. You can learn about this “dish” here.